Ballots for the contract ratification vote are scheduled to be mailed to each good standing member’s home on January 27, 2017. The American Arbitration Association is handling the balloting process. Please look for your ballot in the mail early next week. The mailing will include full details on the contract, including this 8-page contract brochure, as well as important side letters and all departmental gains for your particular title. We urge you to quickly review the material and cast your ballot. Return postage is already paid so the only thing you have to do is mark your ballot and drop it in the mail. The agreement includes tremendous value in terms of wages that easily outstrip inflation, as well as other gains that will boost our earning power well beyond the percentage increases. We have protected our health benefits with no added out of pocket costs, and we won substantial new money for our dental plan that will, among other things, extend coverage to our dependents to age 26. 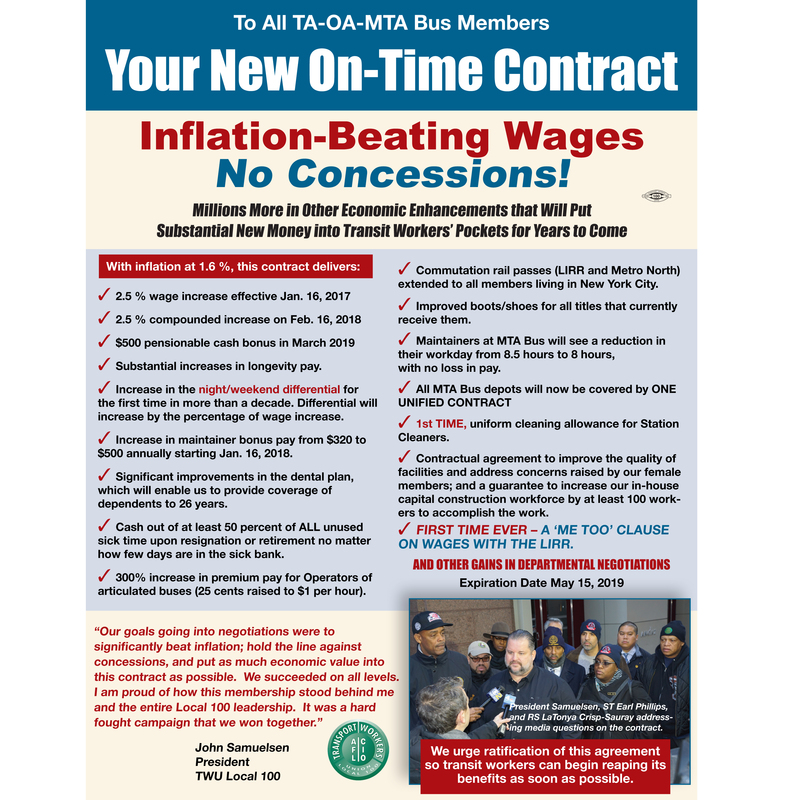 As important, this is a concession-free contract, a major accomplishment in this age of public sector bargaining. 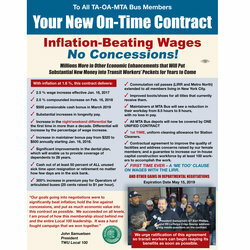 Vote YES on this contract so that we can all begin enjoying its many benefits.